Offering you a complete choice of products which include wire extruder machine, high speed extrusion machine and 630mm bobbin automatic rewinding machine. 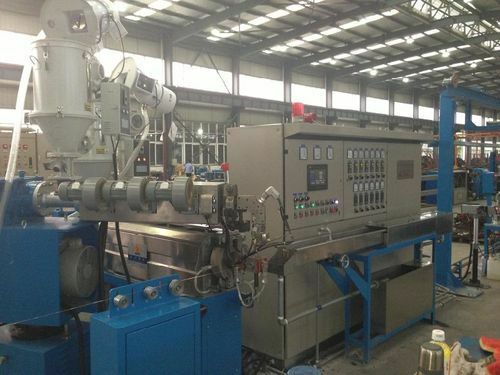 We offer a wide range of premium quality Wire Extruder Machine i.e 65mm Standard speed extrusion Machine. Our qualitative range of wire extrusion machine complies with the most stringent quality parameters prevalent in the industry. For wire extrusion plants manufactured by us, we use top grade steel which guarantees sturdy construction and lasting performance. We offer a wide range of premium quality Wire Extruder Machine or High-Speed 65mm Extruder Machine or High-Speed Extrusion Machine. Our qualitative range complies of Wire Extruder Machine with the most stringent quality parameters prevalent in the industry. For these plants manufactured by us, we use top grade steel which guarantees sturdy construction and lasting performance. Our High-Speed Extrusion Machine is greatly valued for their operational ease and energy efficiency. 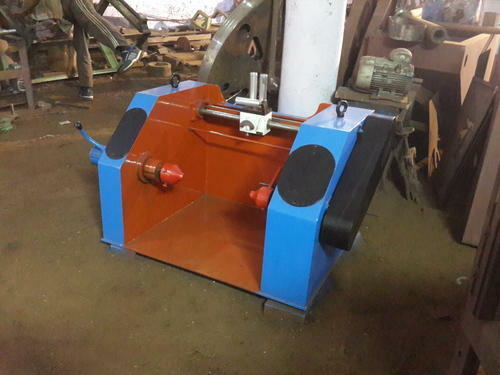 630mm Bobbin Automatic Rewinding machine is used for Rewinding the wire automatically. 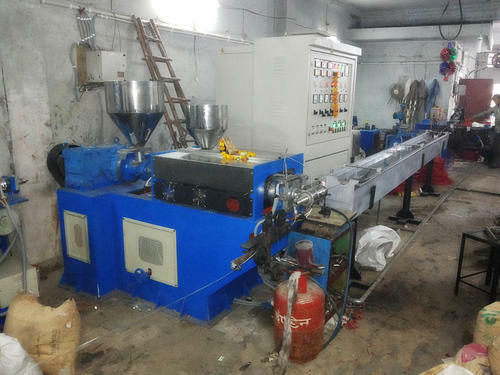 which is manufactured by extruder wire machine. It can be attached with Extruder Machine for efficiency.